Horlogerie franÃ§aise : Les artisans du temps by Bruno Cabanis and preface by F.P Journe. 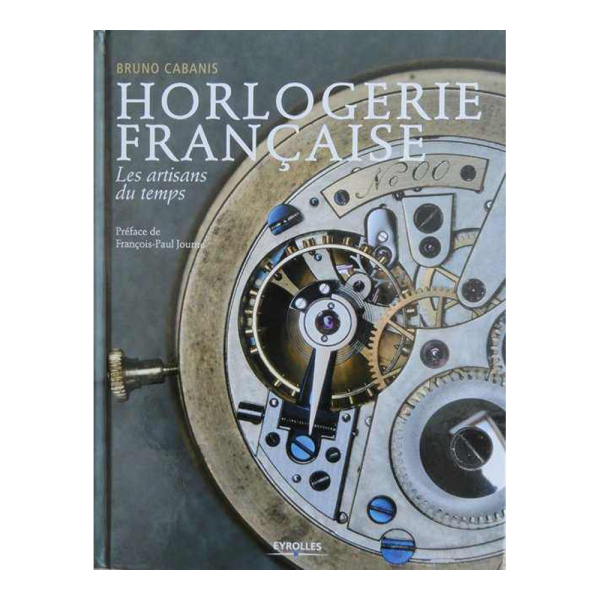 A recent book by Bruno Cabanis that sheds new light on the French watchmaking. The photographer did a great job exploring the craftsmen who today are French watchmaking masters. All trades are visited and carefully presented with talent and passion. Bruno Cabanis was born in Mulhouse in 1954. With a background in scientific training and after that a career in IT, he mastered the art of photography in 2005 by training at the Ecole Nationale SupÃ©rieure Louis LumiÃ¨re. An important book in introducing to the public at large the current masters of French watchmaking. Published in 2012 by Eyerolles. Preface by Francois-Paul Journe. In French.